We are pleased to announce the Call for Entries for the Norfolk Art & Design Competition 2019. The Norfolk Art & Design Competition celebrates creative student talent from sixths forms and colleges across Norfolk. 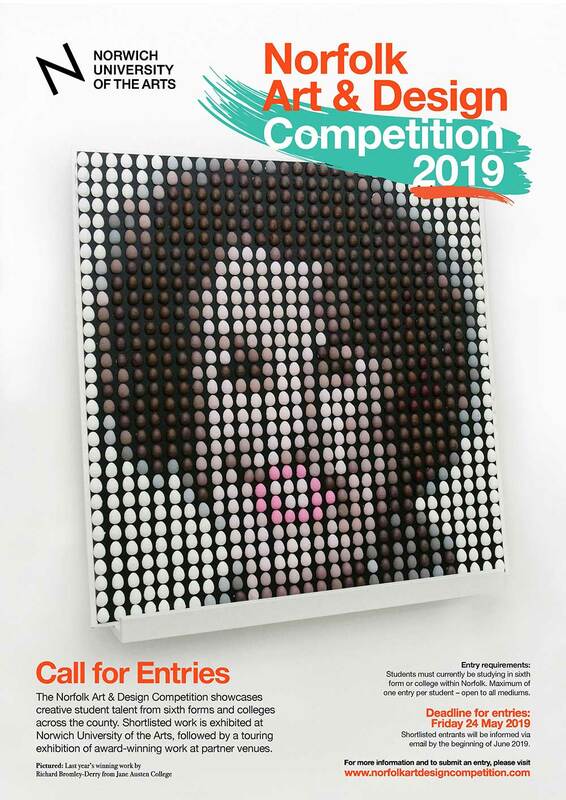 Shortlisted work is exhibited at Norwich University of the Arts, with a private view and awards ceremony, followed by a touring exhibition of award winning work at galleries in Kings Lynn and Great Yarmouth.